RST Finishing Trowel 13 x 5" Carbon Steel is rated 4.2 out of 5 by 19. Rated 4 out of 5 by PeeTee from Good budget trowel Handles well. Needs bedding in, so a perfectionist / professional might not be as happy as me, but I thought it good value. Easy/comfortable to handle. Rated 4 out of 5 by Mentm from Great value Great value for money, the edges were very sharp though, kept digging into the plaster. Rated 5 out of 5 by Malc_b from Good trowel and no rust The main benefit of this trowel is no rust. I've read that spring steel trowel are better because of the spring. This trowel felt ok to me, still springy. Maybe a bit thicker blade. No rust means it is easy to keep in good condition and a nice smooth finish. Soft handle is comfortable to hold too. Rated 4 out of 5 by Lock from Good Quality Second one I've bought. Good quality, comfortable grip, good value. Rated 1 out of 5 by adeblackpool from Poor edge quality I bought this thinking it would be a better trowel than my old unbranded one bought from a market stall years ago. 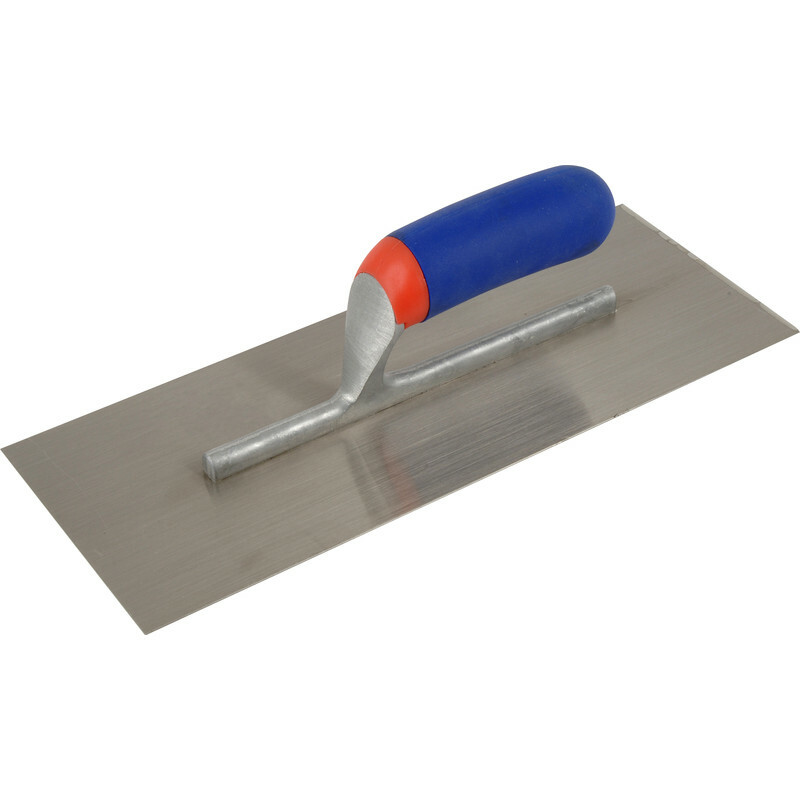 There are tiny imperfections on the trowel edge which result in lines being left in the finish. Also, there were big blobs of clear coating when new which were difficult to remove before use.